Home advantages of homeschooling I Wasn’t Good at School, Can I Learn How to Homeschool? Do you recall first learning how to drive? The excitement mingled with the nerves? You finally turned 16 and the moment you have been waiting for has finally arrived. Now think back, during your first Driver’s Education class, did you go straight to merging onto the freeway? Probably not. You first learned how to drive on side streets. Compare this experience with learning how to homeschool. 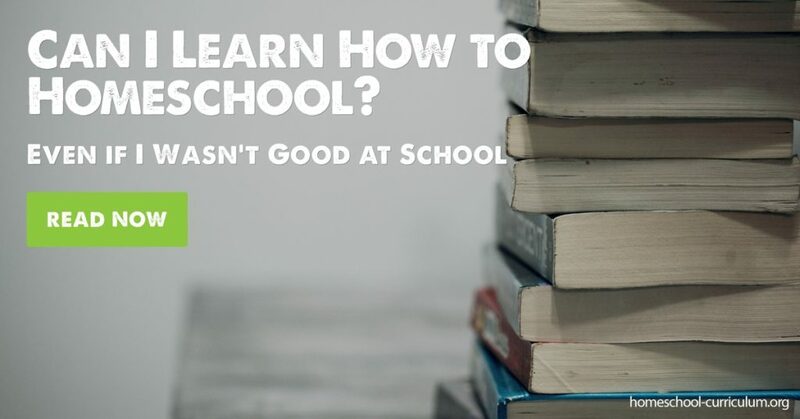 You’ve probably searched on Google something like “how to homeschool” or “best homeschool curriculums” and come up with a million results leaving you feeling overwhelmed. Instead of looking for a broad answer, try starting with one. Explore your options for curriculums with a single subject like math or science or history. Study which program has a curriculum that will resonate well with your child. Putting your own set of curricula together is one of the advantages of homeschooling. We’ve tried Right Start and Homeschool Complete Unit Studies and had great success learning about math and US History. After a while, you will gain confidence in your ability to teach. Share your lack of confidence with your children so you can work through it together. Teach by example that it’s okay to try something new and you get better at it the more you practice. Unlike the public school system, you can tailor your curriculum to the needs of your child, another of the advantages of homeschooling. Once you’ve found a curriculum that your child connects with, you’ll find you’re gaining confidence in teaching. This is a good time to incorporate a second subject. Choose a curriculum that shows and teaches you exactly how to present it to your children. If this is your first time learning how to homeschool, let the experienced companies and professionals do the work for you. Curricula come with pamphlets and manipulatives, so you’re not making daily last-minute trips to Michael’s. When you get in your car and start it up, you do it naturally because you’ve done it so many times, it hardly takes a thought. Compare the driving experience with homeschooling. The more you do it, the easier it will become. Start with one subject and once you’ve gained confidence in that subject, add a second one. If you find a curriculum is not working for your child, change it. The advantages of homeschooling allow you to change curriculums, so you have the best experience possible. For more information, subscribe to our website.